1. Grind together the chopped onions, red chillies, coconut, cumin seeds and salt. 2. Marinate the sweet potato pieces in this for 30 to 45 minutes. 4. Saute the mustard seeds and urad dal. 5. Add the sweet potato pieces and cook over low flame. 6. 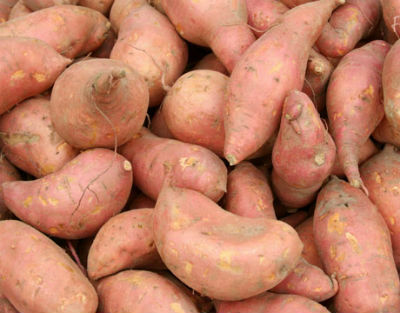 Remove when all moisture has evaporated and the sweet potato is cooked. Feel free to comment or share your thoughts on this Sweet Potato Poriyal Recipe from Awesome Cuisine.